Respa has been producing premium 100% Irish handmade beds in Oldcastle Co. Meath for over seventy years, since 1947. Combining the best of traditional craftsmanship with the most advanced technology and high quality materials. Respa are an approved member of the National Bed Federation, adhering to the highest quality standards. Our highly popular pocket mattresses feature Sleepfresh Technology. Giving a cool, hygienic anti allergen sleep. This exclusive collection showcases our airflow foam, with an open cell structure increasing airflow and breathability. RespaTech Support & RespaTech Ortho open-coil spring systems offer support, comfort and durability. Respa mattresses offer optimal comfort, support and pressure relief by combining the latest in bed making technology and superior traditional craftsmanship. Perfectly complementing our broad collection of beds, our headboards combine luxuriously upholstered detailing with an extensive range of superb contemporary, quality fabrics. 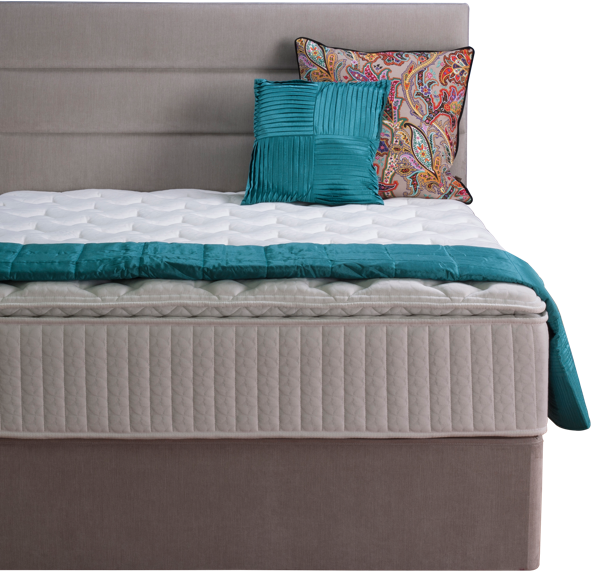 We recommend you choose a Respa Divan frame to complement your Respa Mattress, giving optimum support and comfort. A Respa frame gives the bed remarkable strength and stability. Our Respa Contract beds division provides specialised luxury mattresses, headboards & divans to the hospitality industry. Working with hotels both in Ireland and internationally. Our end to end installation and removal service means we make things easy.